Ella Barrow presented her project to the design team at Ralph Lauren. 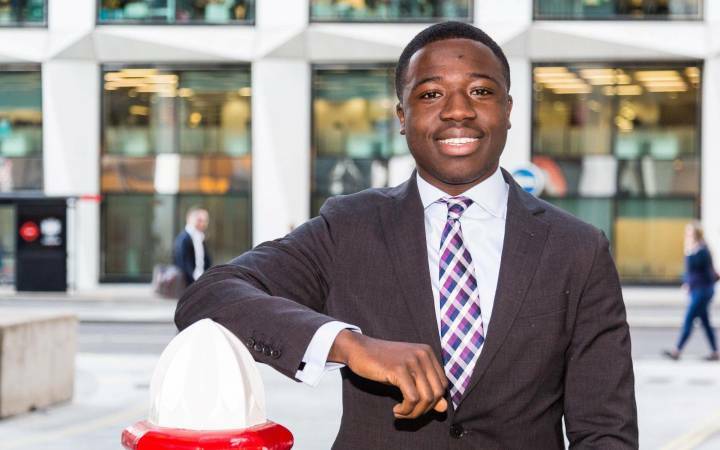 A Kingston School of Art fashion student landed an audience with American fashion icon Ralph Lauren while on an internship at the leading American brand. Ella Barrow made quite an impression with her project, evoking both the American red, white and blue heartland and the Yorkshire fields of her childhood. 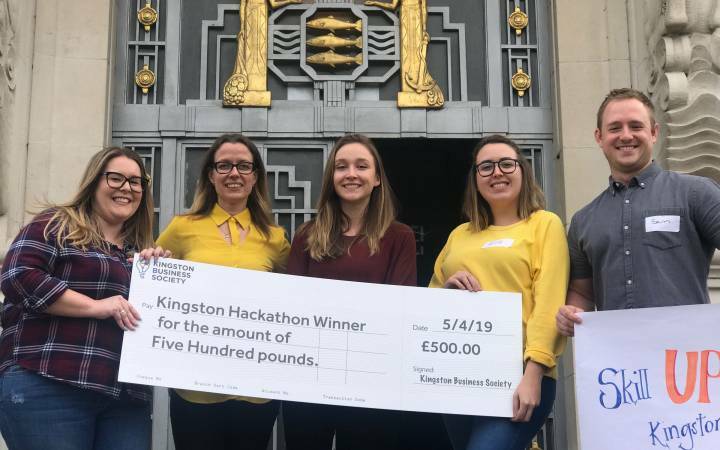 Ella was selected to work as a creative intern within the children's design department at the company's offices in New York while at the label during the second year of her Kingston University degree. 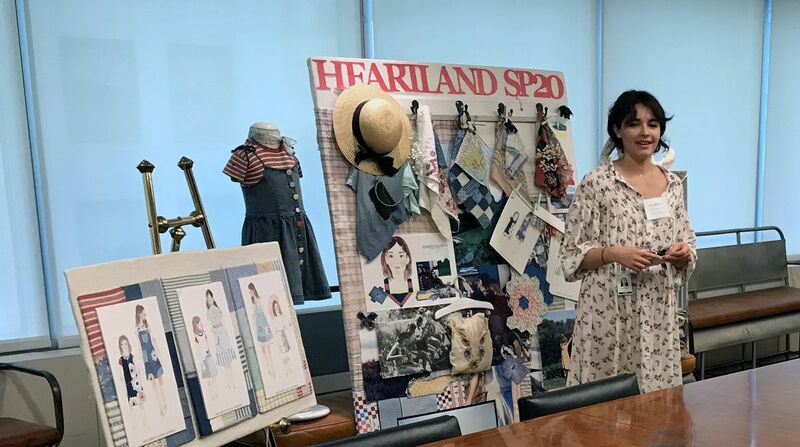 Her internship project was to design a line that would fit into the look and feel of the brand and to accomplish this she sought inspiration from archival Ralph Lauren pictures. Ella started to spot similarities between the imagery used by Ralph Lauren and her hometown of Saltaire on the outskirts of Bradford. "A lot of the countryside is very similar - lush rolling hills, loads of patchwork quilts and washing hung out to dry," the 21 year old said. "I decided to embrace the universal idea of home and created a character to be the personification of the project. I imagined a little girl running around and getting messy in her garments and then returning home to patch them up." 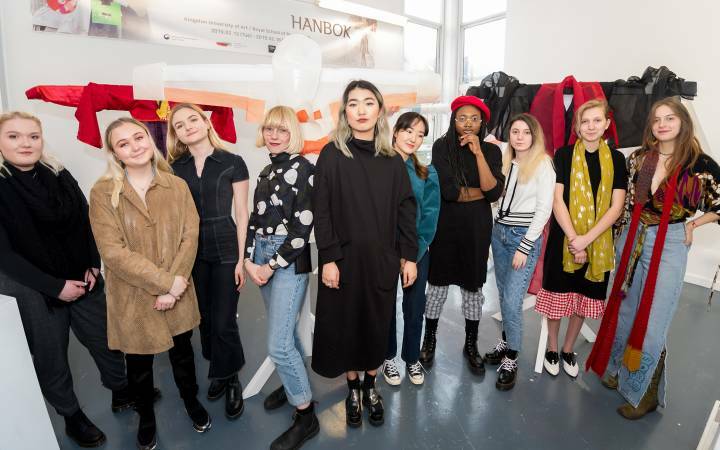 Sustainability was sewn in to the fabric of the project, with Ella proposing to use pre-existing textiles and offcuts samples for her internship project. "It adds to the authenticity of the little girl character searching her home to grab anything she can to patch up her clothes," she added. "I used lots of patching and home embroidering, mostly floral and ladybirds, imagining how she would be inspired by her surroundings." 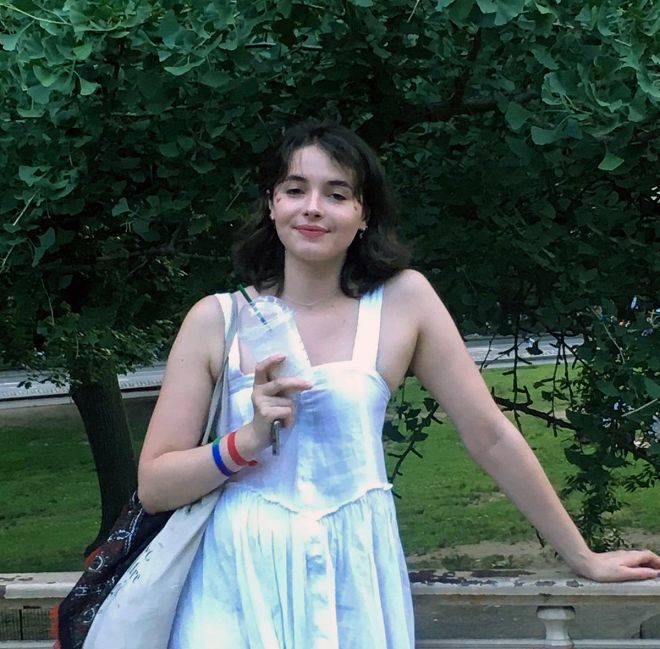 Fashion student Ella Barrow spent 10 weeks at Ralph Lauren's New York officeReflecting on her experience towards the end of her 10 week internship, Ella said she still had to pinch herself. "I can't say enough about what an amazing experience it has been and I felt very sad when it was time to leave," she said. "Ralph Lauren do things properly, quality is very important. They make garments that will last - one of their key words is heritage, making things that will be passed down within a family." 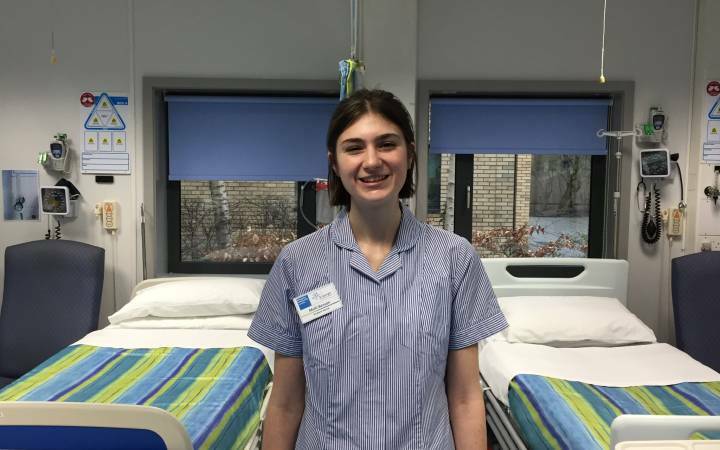 "Everyone was so inclusive and helpful - I met with so many different people, in many different departments - lots of important people have given their time so that I can learn," she added. But it hasn't only been work that captivated her during her time in the Big Apple. "There is so much to do here. The food is incredible, the nightlife is really fun and the weather is insane," she revealed. "My favourite thing to do is to sit and look at the skyline - it's so calming. I didn't expect it to be because I'm not a fan of skyscrapers, but it's very beautiful, especially at night. I often stayed until it got dark in Manhattan, then got an Uber home to Brooklyn. Driving over Brooklyn Bridge looking at all of the buildings when they're all lit up is breath taking."